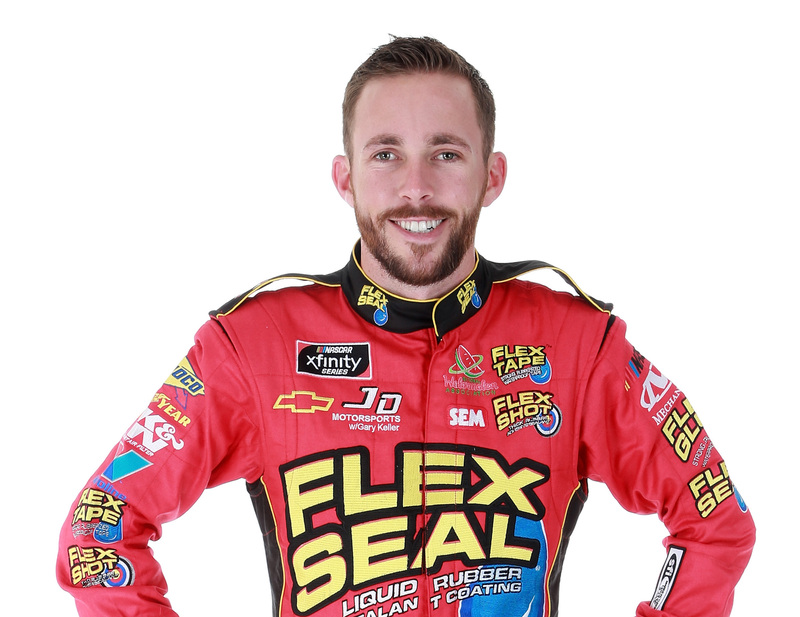 The 12 Questions series of interviews continues this week with Ross Chastain, who races in both the Cup Series (driving the No. 15 car for Premium Motorsports) and the Xfinity Series (driving the No. 4 car for JD Motorsports). Not very often. I guess maybe once a week, maybe two times. Well most of my dreams are about farming, to be honest. And watermelons. The racing stuff is usually bad.They’re all nightmares — it’s losing races, reliving old races that I’ve lost. I don’t think I’ve ever dreamed about a race I’ve won. Yeah. I usually try to no matter what. They usually don’t like to hear it, and I’m the same way when I’m on the other side, so I think you have to just so you know in your mind that you did. Usually, if it’s a complete freak deal and an accident, it’s OK. They might be mad at the moment, but as soon as they see the replay, they’re OK. But when you’ve been racing with the same guys for 20 races in a row, especially in Xfinity and you’re racing against the same guys week in and week out, usually it builds up to running into each other. And then you just don’t care on both sides. What’s your method of apologizing? Yep. “Don’t ever call me again.” OK. Sorry I bumped you on that restart. I’ve had a lot of issues obviously, so I’ve tried to work on all of that. I bring a lot of my friends with me, so I don’t necessarily go hang out with all the little cliques. They’re like high school groupies. It’s crazy. I mean, I’m sure you see it. But yeah, I do try to apologize. I’ve never crashed anybody on purpose — I’ve bumped into them, I’ve pushed them out of the way, but never crashed anybody on purpose. I’ve seen guys do it; that’s pretty bold. So I don’t think I would ever do that. “Man, that was a good watermelon.” (Chastain used to be a watermelon farmer before racing.) No, I guess for racing…it’s “underrated” that might be the word. A lot of people will say, “You did such a great job last week.” But over the big picture, (it’s when) somebody just says, “You’re doing a lot with a little,” which I get that a lot. I can’t wait for the day we can say as this group that you’re doing the right amount with what you have because you have a lot now and you’re doing a lot. I don’t always want to be the little guy. But that’s what I get a lot, so I guess that’s good. Really? Brock Osweiler? That’s kind of random. Yeah. I don’t know. I just follow him online and saw what he did with the Broncos there and took them a long ways and I feel like they brought Peyton (Manning) back for the playoffs and then they won the Super Bowl. Right, that year? But I was a big fan of how he was able to get them there while Peyton wasn’t in. I don’t know. I just follow him online. If I had to pick somebody that would be it. I mean, I would. I eat anything, so I could eat salads if I had to. I don’t think it’s a big deal. There’s ways around it. It wouldn’t be ideal. We have Red Limousin cows back home that I started with when I was little and we’ve got it up to about a hundred head and more of a hobby that’s turned into a job. But yeah, I can do that, I guess. 6. It’s time for the Random Race Challenge. I’ve picked a random race from your career and you have to tell me where you finished. This is the 2016 fall Dover Xfinity race. Do you happen to remember that one at all? Man, I remember all the other years at Dover. I started in ’15 with the 4 car and I don’t know. I would say we finished about 17th, probably qualified about there to 20th maybe, I don’t know. No, this was a better day than that. You finished 12th. You started 11th. This was a race that Daniel Suarez won. You finished right behind Bubba Wallace and ahead of Regan Smith in this race. I had a feeling you couldn’t give me a good answer. I honestly, to be truthful with you, I don’t know. Who do you think? I don’t keep up with all that. I’m pretty isolated, I guess. That’s why I have the question on here, because either people know it or it shows about their musical taste that they don’t know it. I like country — I call it old country, like 90s. You don’t like bro country? No. And then Jay (Robinson), my Cup owner, he laughed at me about a week ago because something came on and I said, “Oh yeah, this is some good old country.” He goes, “Old country? This is the new stuff!” So that was funny. But no bro country. I’m pretty simple. Can I pass on this or not? I feel like you’ve already punched some faces. Or been punched. Yeah, yeah. Being that we’re able to stand each other now and we shook hands and we can pass each other and say “Hey,” I guess Jeremy Clements (who he fought with at Bristol in April 2017). To answer your question, that’s pretty punchable. But you’re good now, you said? Yeah, right after that, it was like nothing ever happened and he was great, so I’m going to be great. Because granted, I was the aggressor when it finally came to a face to face, but I felt like that was my stance, I had to do it. So yeah, he changed right then and we’ve been great. Still not the way to handle stuff, but that’s obviously, unfortunately, firsthand experience in NASCAR, but I hope that it never happens with me again. I am glad to talk to somebody who is actually punched as part of this question. At least we have somebody who has firsthand experience. I guess we can put LeBron up on the roof because I can always just turn that down and I don’t have to listen to him if I don’t want to, because we can turn our spotters down when we want to. Now my spotters, both of them, are going to give me a hard time for that. But that’s good. Got to keep them on their toes. I guess Taylor could be the motorhome driver, I guess — if I had a (motor)coach. And then I guess Tom Hanks is on the box. I feel like he would be practical enough, he could choose between two and four tires. That’s a pretty easy deal there. So you don’t have a motorhome now? I have a trailer, one of those toy haulers, and I drive it to those close ones that are around. You drive it yourself there? The rest of the time you’re in the hotel life? Yeah, I flew up commercial (for the New Hampshire race) into Boston and drove up just to save the team a few dollars — because we can go on the charter planes and stuff but, gosh, that stuff adds up. So if it’s close enough, it’s cheaper to drive that thing. And I enjoy it. I always grew up going in motorhomes and traveling all over. And there’s always something wrong with them, right? They’re always breaking and something’s always wrong. I enjoy tinkering with them and just kind of taking a day or two to get to the track is not a bad thing. Do you ever run into fans in the hotel lobby for breakfast or something like that? I see it more at KOA (campgrounds) and stuff, actually. I guess you talk more in the campgrounds, I feel like. Hotels are just in and out. But yeah, every now and then we’ll do meet-and-greets at the hotels and stuff since they’re working with us, sponsoring the race car. It’s usually where the teams try to stay, obviously, so doing a meet-and-greet and meeting a lot of people there though. I’m trying to get better at this, because I used to be so nervous — like I would wait until the last second after intros. I would never scope it out beforehand. I would just get off the truck or get off the intro stage and look. Usually a lot of the PR people will have it picked out for their drivers. But Alex (Tauras, who handles the team’s public relations) is usually setting up our pit boxes — he’s got to get all the computers set up for all four teams. So I’ll look for just different people that I know personally who are PR reps and they’ll kind of point me in that direction. But a couple of weeks ago I started to just go before intros and I’ve been fine. It’s only the difference in 15, 20 minutes. But it’s more for me it was a nerves thing. You always feel like you have to go the whole time. So you feel like if you go right at the end, at the last possible moment, then you’re safe. But yeah, I’m getting better. I’ve worked on it. I’ll just go before and get it out of the way. That makes sense to me. No one had said that all year until Denny Hamlin said that recently, like he just goes before he goes to intros. I don’t know. I’m nervous. I’m not going to lie, the whole lead-up to the race, out of my whole career, that’s when I’ve always been the most nervous — like national anthem, the prayer, standing out there. Plus it’s like usually echoing and it’s hard to hear who’s on stage singing or the prayer, so you’re trying to listen and trying to figure out when they stop praying, when they start singing, and sometimes there’s a delay in TV. They’ll show you’ve got your head bowed for the national anthem. It’s like, no, I wasn’t trying to, I just can’t hear anything. You’d have to pay for like the rest of my life because I wouldn’t make it. No matter what, I’ve never done a backflip off of anything. It wouldn’t be possible, so I don’t think there’s a dollar value. I’d rather keep racing. They’ve got other people who can do that, I guess. Have you found anybody that truthfully could do it? Daniel Hemric apparently can do it standing up without even being off the top of his car. Yeah, I’ve seen him do it off a Late Model roof, and that was impressive because they are flimsy. I think he did it with a checkered flag in each hand and they were waving as he did it. There’s probably a picture out there, I think. 12. Each week, I ask a driver to give me a question for the next interview. Last week’s was with AJ Allmendinger. His question for you was: Could you beat Joey Chestnut in a watermelon-eating contest? No, I could not. We actually just did one, we try to do one at Dover every year for our “Protect your melon” and “Use your melon” campaigns, and we had the national watermelon queen and the Florida watermelon queen and me and my brother, we all did it. And Queen Savannah, the national queen, she was done and I had just gotten the first layer off, a quarter wedge of watermelon. It was insane. So she kicked our butts, basically, is what I’m saying. So no, I could not beat probably anybody, I don’t think. Yeah, I would sub her in for me, let her take my place. So I’ve asked this question and no one has ever done it for me. But if you felt like you were struggling in practice, would you let somebody get in your car to shake it down, to see what they thought it was better? Like I’ve asked, when I drove for Brad (Keselowski) in his Truck team, I asked Brad to get in the truck and he said, “No.” He wouldn’t do it. I said, “Oh, I just want you to get it and take it out one time.” So all along the years, I’ve asked other people — Landon (Cassill) was here, I wanted him to get in the 4 car. Nobody ever wanted to do it. So would you do it, and if you could, who would you pick? I don’t know. I’ve gotten in other people’s. Yeah, I go get in trucks almost every weekend these days. I got in at Charlotte for Korbin Forrister and their 7 truck, and then I got out of that and the 49 truck, which is a Premium truck — I drive their Cup car, they saw me get out so they asked me to — so I went down and got in the 49 truck right after that. So I just get in, adapt to the seat a little bit, get the seatbelts where they fit, and go run three or four laps just to give my opinion on what the truck’s doing. I like Ross more and more. Hey; this dude is cool! Why don’t most “top of the hill” drivers relax and go with the flow like Ross? Hm, sounds kinda, for lack of a better word, snobbish that another driver wouldn’t get in a fellow competitors cars. Especially someone who doesn’t have competitive equipement. I can see Kyle Busch not going and getting in Chase, YRB, Austin or one of the bigger teams. But someone like Ross, Garrett or BJ ?? Like I said, snobbish.